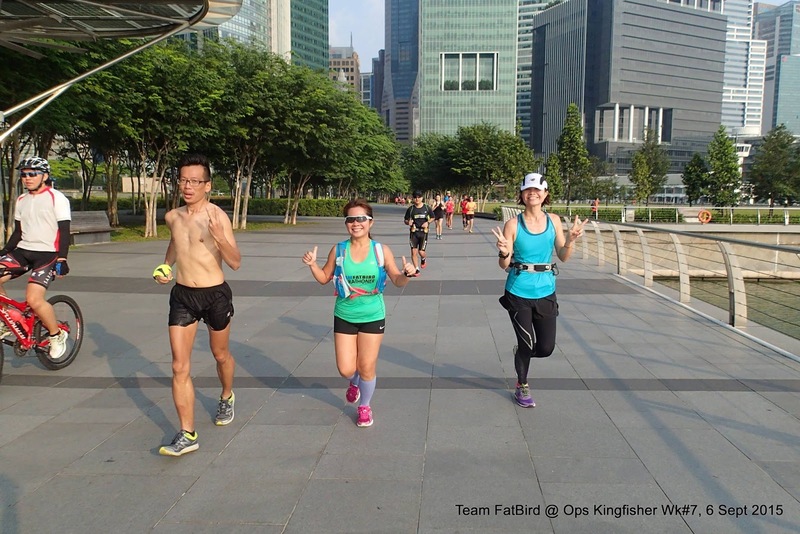 The hazy weather cleared up to PSI levels of 95 in the morning for a good 20km (HM) and 28km (F) Optimal Pace training run for the Kingfishers. Marathoners bound for Sydney Running Festival in Sep and OSAKA Marathon in Oct took the opportunity to do a trial long run at race pace to gauge their levels of readiness. 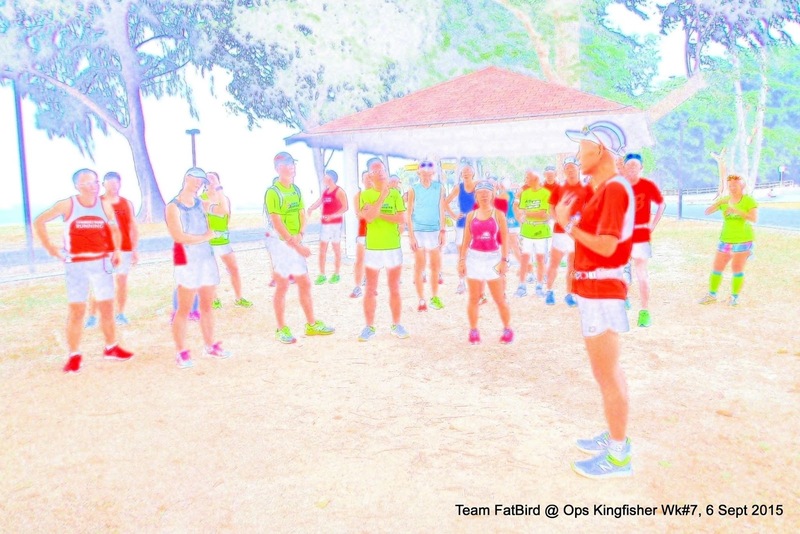 A short briefing about ‘breathing techniques’ for distance runners was conducted prior to the run-off as an entire group at 7:30am. 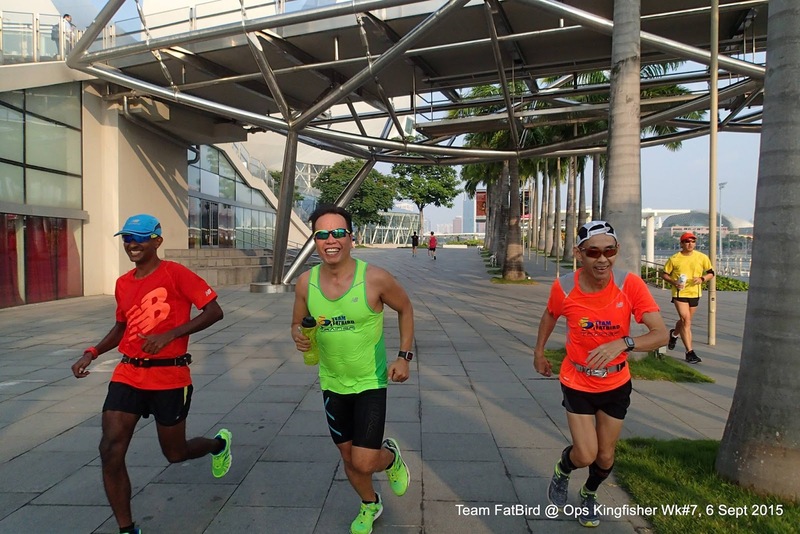 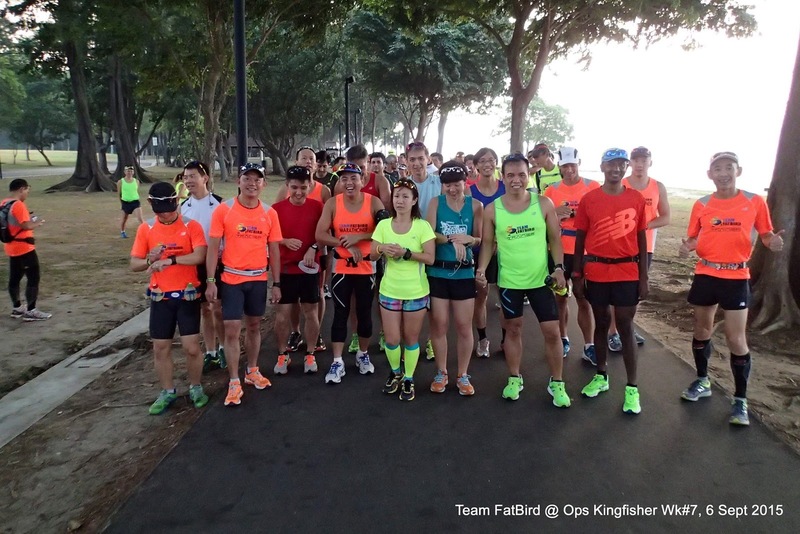 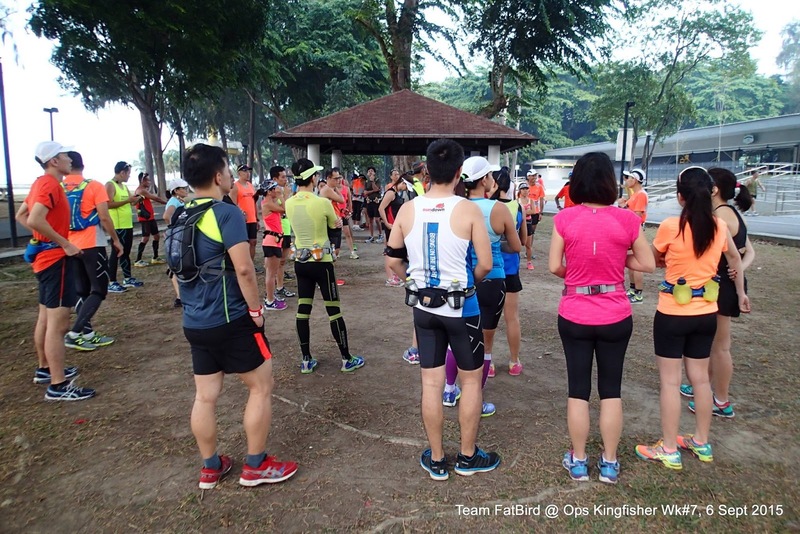 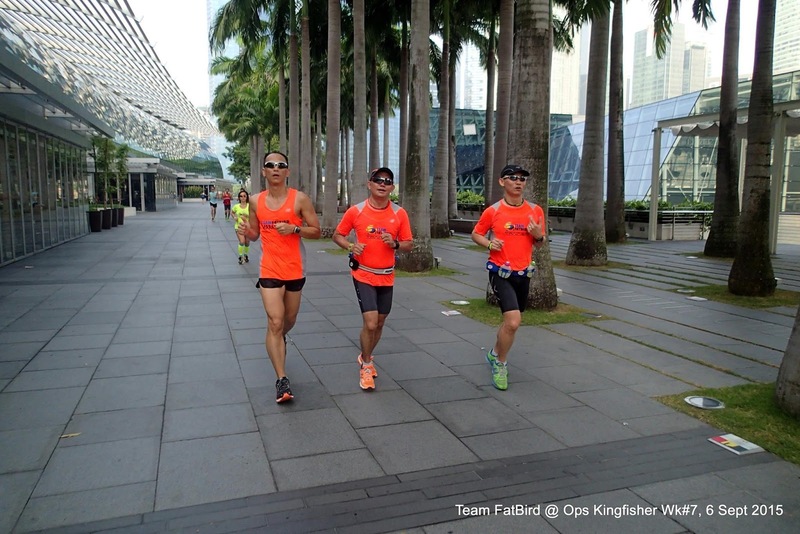 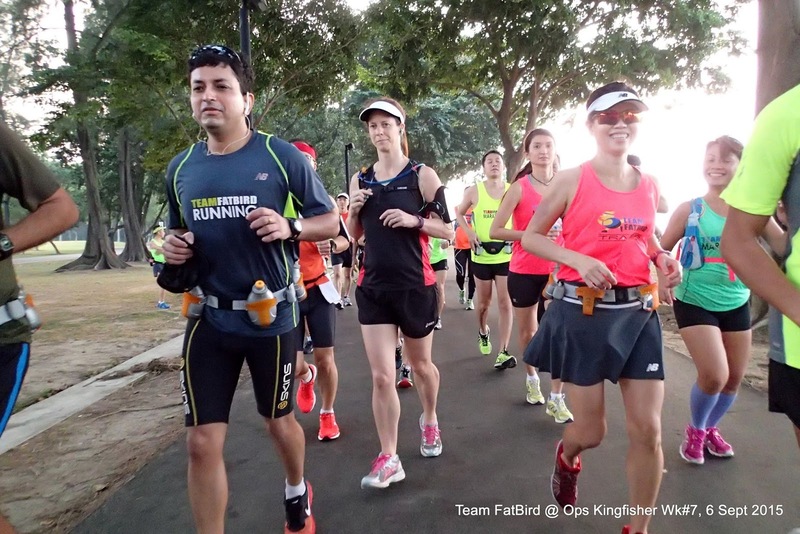 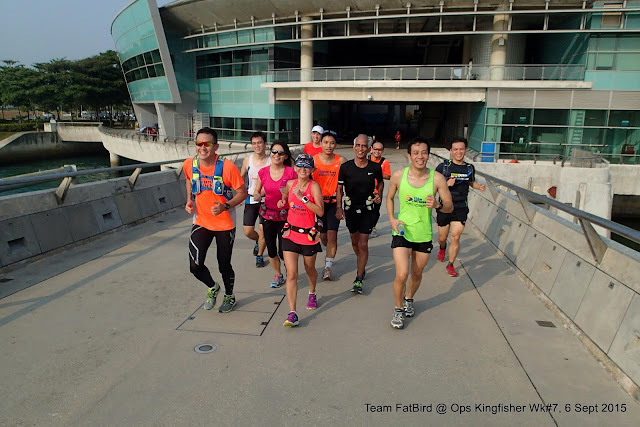 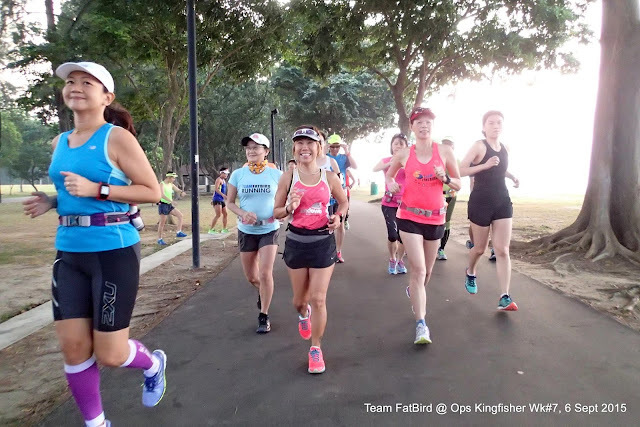 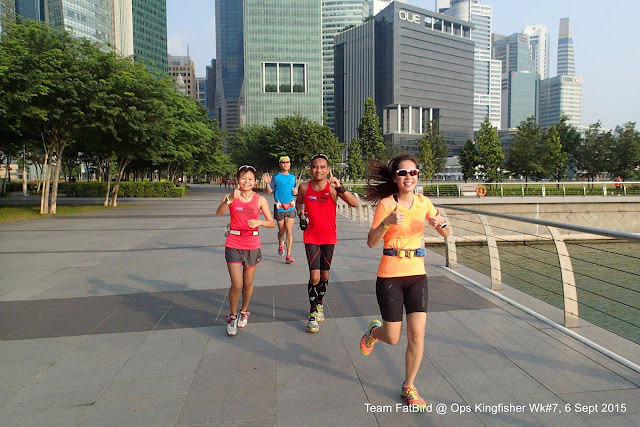 With 6 weeks of training under their belts, the Kingfishers were maintaining strong and steady paces for the first 15km along Gardens By The Bay, Marina Barrage and Looping back from the Promontory. 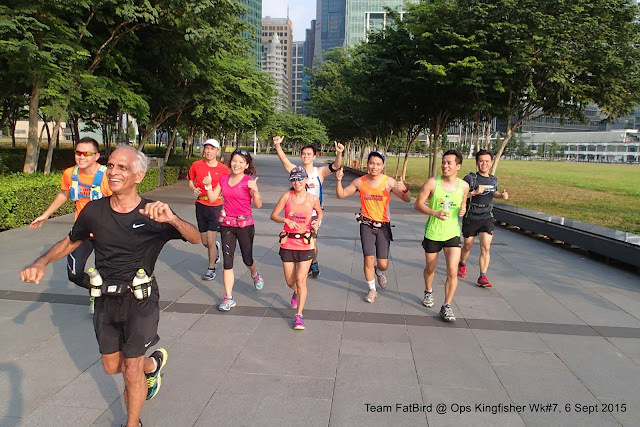 In spite of the humidity and heat, the respective group Pacers and trainees kept up with managed paces and were in high spirits. 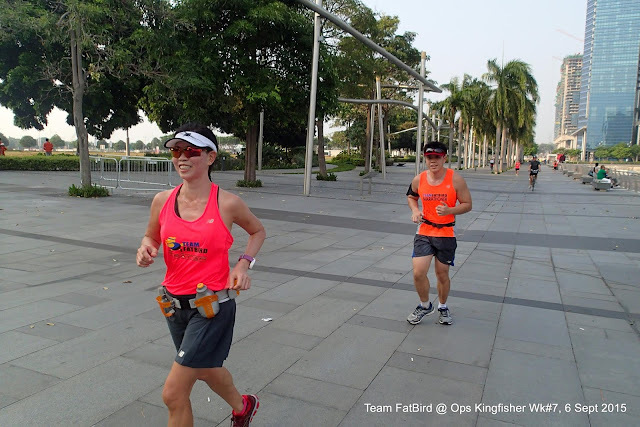 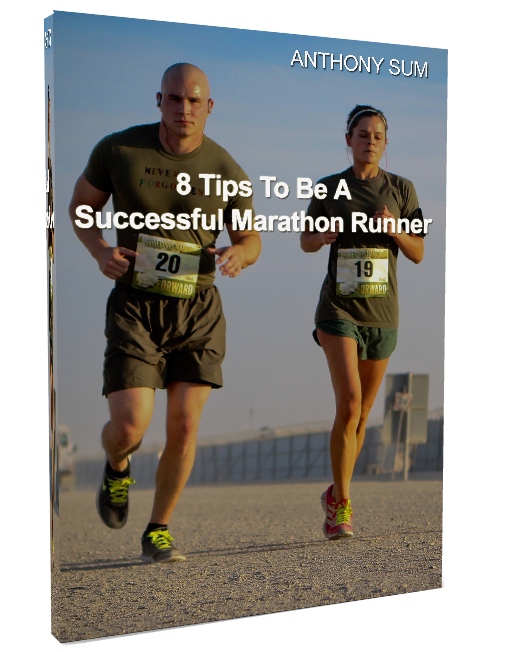 Shouts of encouragement were meted out by various pace groups as we passed one another. 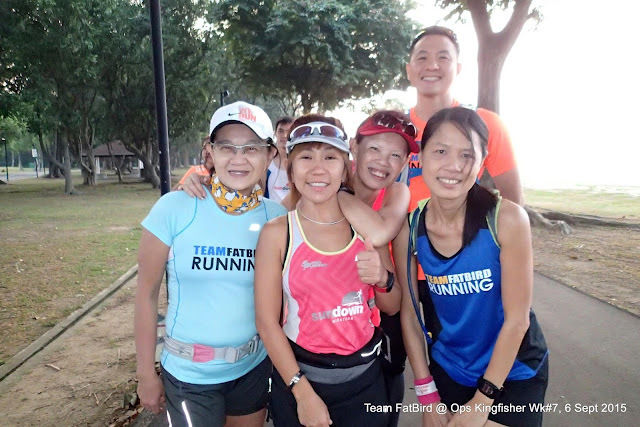 By the time we reached Parkland Green, we had covered 18.3km at Optimal Pace and the STRun Pacers also completed their requirements at that point, all race ready for Sep 27. 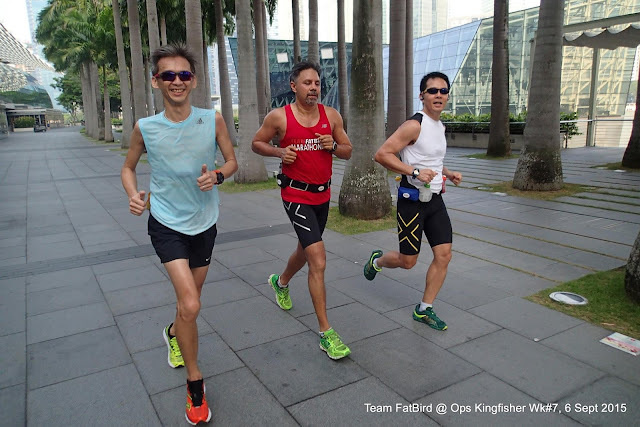 The HM and FM groups continued on for another 2km and 10km at sustained Optimal Pace to finish strongly and meeting the morning’ training objectives. The Kingfshers gave their best effort and was suitably drained and tired from the challenging weather. However, they were given a mental boost to their confidence levels as they persisted to complete the training in good form. With 20km and 28km under our belts, we will all look forward to our final training and tapering long run next weekend to wrap up our 8 weeks of marathon tune-up. 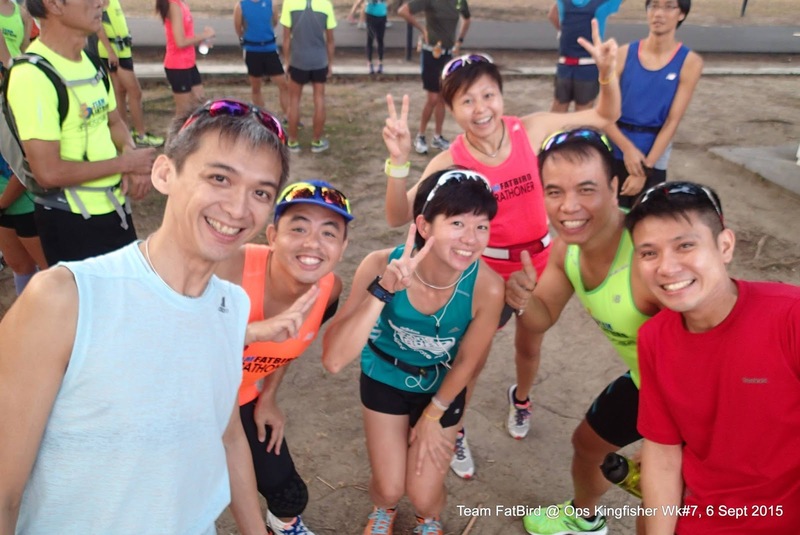 With the trainees looking strong and feeling motivated, we look forward to them achieving good results at the Straits Times Run and Sydney Marathon in September, not forgetting the OSAKA Marathon in October.